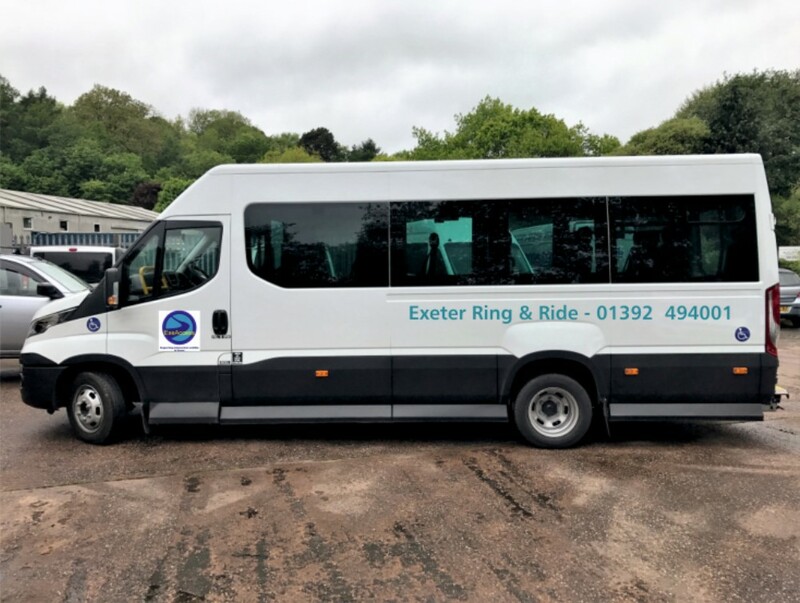 Exeter Community Transport Association is a hard working and valued local charity, helping to support independent mobility through a number of services. For more information of what we do please click through to the about page, or take a look at our services. Tickets are now on sale for our Annual Boat Cruise. Please see Poster below for details. Provides powered or manual vehicles for anyone needing help to get around the city centre. Long term hire is available for manual wheelchairs and collapsible scooters for outings or holidays. Provides a service to aid blind and partially sighted people to access Exeter City Centre with the help of a fully trained volunteer as their guide. Anyone needing help to get around the city centre can borrow a Genny Segway, for sight-seeing, business or meeting friends. The Greater Exeter Access Project is a facility which offers access to parts of the city via our Tramper vehicle. We are hoping to purchase another Tramper-type vehicle later this year. We also have available our Gennymobility vehicle. Areas that were difficult to reach for the mobility - challenged are now within the Tramper's scope. Some of these areas include but are not limited to The Quay, Pennsylvania and Topsham. that we are now a part of the Exeter Safe Space Scheme. premises where our staff will be glad to offer any help and assistance that might be needed. Ben Bradshaw MP cut the tape at 12:20. 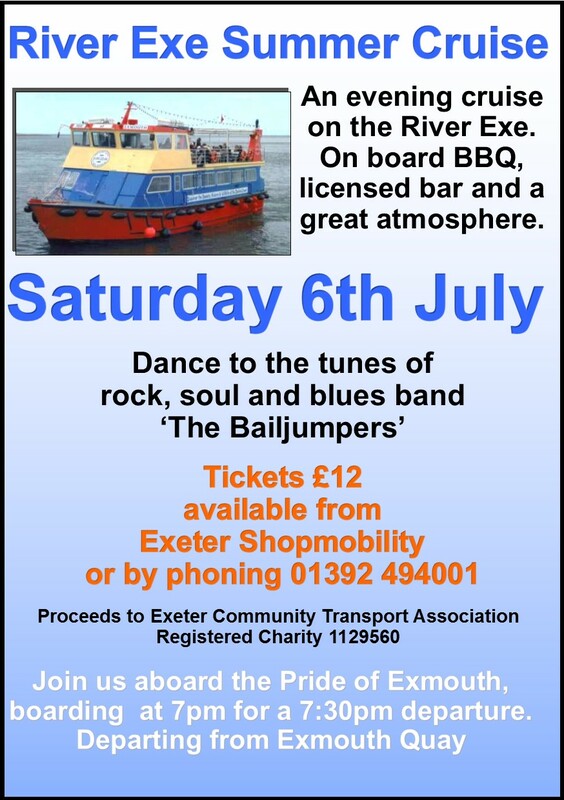 Our Annual Boat Cruise will be held this year on 6th July. The theme is "The 1980s"
Should any of your team members suffer a leg injury, we now have 4 wheelchairs with leg supports, available to hire. if required, at £6.50 per day. for sale at various prices. and we can replace them for you. or less mobile person visiting you ? 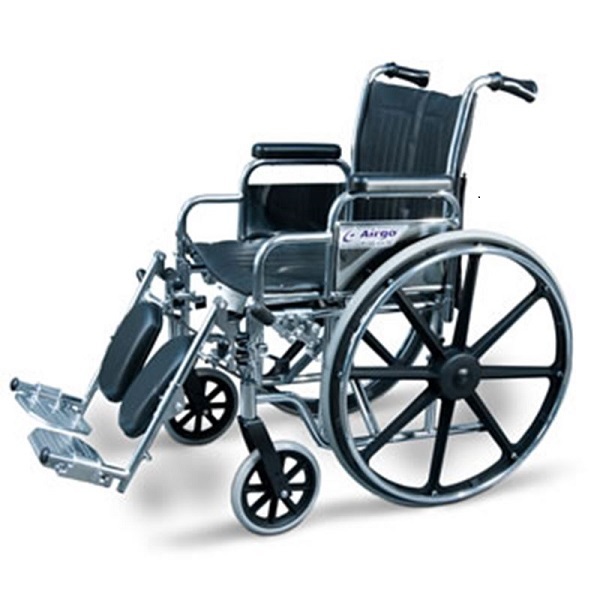 We are now able to offer various mobility aids, on a short term lease.